Don't leave the interior lights on, and biscuits on the counter, when you go out to the drive-in at night. We came home and the food station (I'm still looking for a better word than "kitchen" for my non-kitchen kitchen) was crawling with ants and other creatures that I prefer to leave unidentified. My breakfast fix - Trader Joe lingonberry scones - was being appreciated by many. How did they get in? Our floorboards are sealed, our doors and windows are sealed, and yet our little cabin was teeming with uninvited visitors. We threw out the food, =(, and turned off the interior lights. I tried to read my mail on my phone in bed but the flying bugs just followed me there so I went to sleep instead. When I woke everyone was gone and I drank my bitter coffee with nothing sweet to chase it. The theme this weekend was insects. I saw two grasshoppers - one with only one leg, but beautiful in white/gray/brown desert camo. Ken found and pointed out a desert praying mantis. 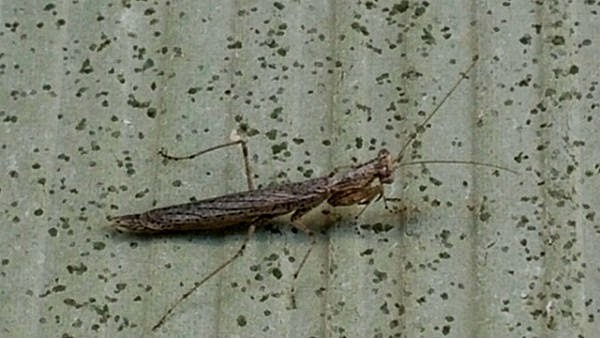 It was about an inch long and similarly camouflaged. 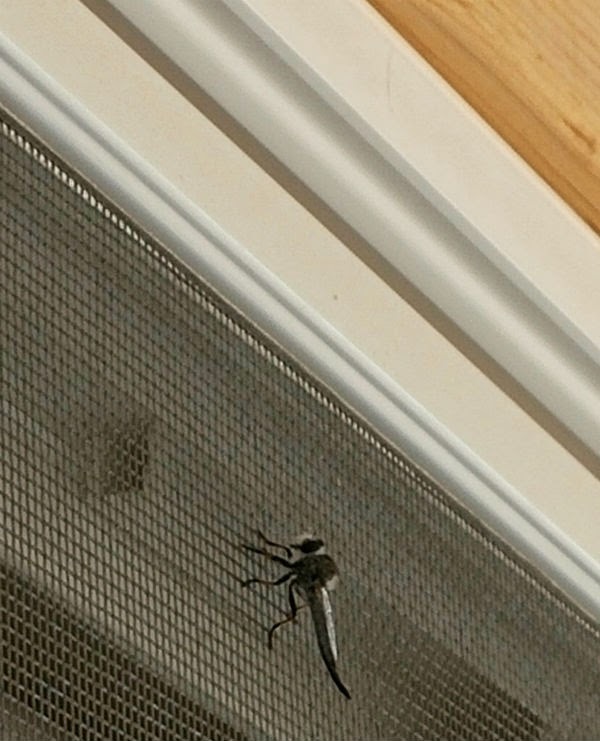 Saturday morning a robber fly was clinging to our window screen, and though not an insect we saw another larger white scorpion on our porch at dawn. It was about an inch long and ran away fast. 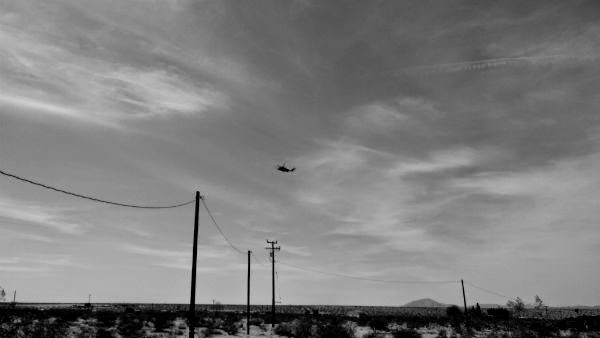 Another stinging insect, a Sikorsky CH-53E Super Stallion heading from the Marine Corps Air Ground Combat Center just two blocks away. Goat Mountain in the background.